Laughter and hilarity will be the result when you use the funniest new Comedy Film Moods on Productiontrax.com! These tracks are great for Youtube or Film projects! Get a head start on your holiday projects by downloading Royalty Free Holiday & Seasonal Music from the Productiontrac library. Our contributors have uploaded a blood curdling array of new Horror Sound Effects, just in time for Halloween. These effects will go perfect in video game, films or Youtube videos. Productiontrax has new Solid Color Background Stock Video Footage available for immediate download. This footage is great web or video work. View our amazing selection of Corporate Stock Photography, many of these new photos are by award winning stock photographer Yuri Arcurs. Download today! New Halloween Film Music and more on Productiontrax.com! Halloween is right around the corner and you need to have your projects ready soon! Download some Horror Sound Effects to complete your spooky project today! Can’t afford the latest Lady Gaga hit for your video or film? Then download some great Royalty Free Pop Music from Productiontrax.com! Our contributors have uploaded a fantastic new selection of People Sound Effects. These effects cover everything from coughing and sneezing to hand clapping and laughing. Productiontrax has new Animated & CG Background Stock Video Footage available for immediate download. This footage is great web or video work. Your next print or web project will soar like an eagle if you use some of the majestic new Animal & Insect Photography that is available on Productiontrax.com! 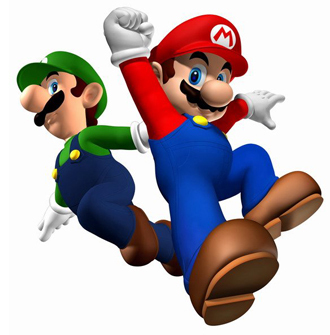 Productiontrax celebrates Super Mario Bros 25th birthday with new video game related media! Trying to make video game history yourself? Then check out these amazing Video Game Soundtracks and Music on Productiontrax.com! When Mario takes a break from saving Princess Toadstool and plumbing, he loves listening toRoyalty Free Italian Music on Productiontrax.com! No video game project can complete without a amazing array of sound effects to bring the action to life. Productiontrax has a large selection of Video Game Sound Effects for sale! Productiontrax.com has a great new selection of Animated and CG Background Stock Video Footage for sale. These videos will work perfectly in a variety of projects. Mario & Luigi love a huge bowl of spaghetti! You can find pasta photos and other foodie photos in our Restaurant & Food Stock Photography section! Indents & Logos, Machine Sound Effects and more on Productiontrax.com! We have a great selection of Indents & Logos to use in your TV projects. These are great for going into or out of a commercial break. Can even be used as a short theme song! Visit Productiontrax.com today and preview these soothing songs from the East in our Royalty Free Eastern World Music. Featuring tracks from all over Asia. These detailed new Machine Sound Effects are sure to bring the correct level or realism to your film or video project. They encompass a vast array or machinery and electronic sounds! Labor Day has past and now it’s time for back-to-school! Get your back-to-school projects ready with Productiontrax’s great selection of Kids & Teens Stock Video Footage. Do you have a romantic project in the works? Then take a look at these great Love & Romance Stock Photos. They are great for web or print design!